If something appears to be too good to be true then it normally is, but when you are at a low point in life you sometimes grab at any form of affection, just to feel something other than despair. Rebecca only had her mum whom she loved very much but since she was in hospital with cancer, Rebecca spent all of her time with her. The diagnosis wasn’t promising in fact the inevitable was very inevitable, so meeting the very attentive Solomon Kemp was some thing that didn’t happen to people like Rebecca. But it had. When Rebecca’s mum dies suddenly Solomon, soon to be Rebecca’s fiance, steps in but in time what had been caring is now smothering and the only life she has is the one Solomon allows. It ends in tragedy when one of Rebecca’s teacher co workers is brutally stabbed to death and Solomon is sentenced to prison for 10 years. This is Rebecca’s chance to start again but when you least expect it the past has an habit of turning up to dance around and nip at your ankles. Solomon is back and he wants to play, he wants payment for every year he was in prison. Rebecca must be witness to a series of crimes, each one worse then the one before and she must chose the victim! 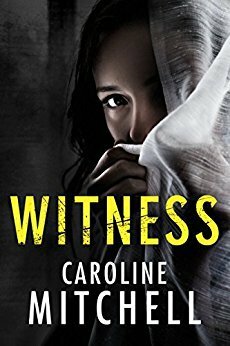 Caroline Mitchell has excelled in this genre of psychological thriller bringing a tense and gripping novel to her ever growing band of followers. It is a truly wicked read in every possible way. As she introduces you to the worst sort of mind games ever. Oh what implications can this have, how do you ever forgive yourself never mind seek forgiveness from others for the choices that you make. This story is told by Solomon and Rebecca in the past and in present time but what I really loved was an insight into a journal that Rebecca kept at the time of the original abuse. This really takes you into the damaged mind of the victim, brilliant touch. My feelings for certain characters changed as I read this book, it was definitely mind games for me too! I wish to thank NetGalley and Caroline Mitchell for the invitation to read and review this novel.